Ghost Town Poetry, the anthology of poets from the long-running second Thursday open mic poetry series co-hosted by Printed Matter Vancouver editors Christopher Luna and Toni Partington is nearly sold out. 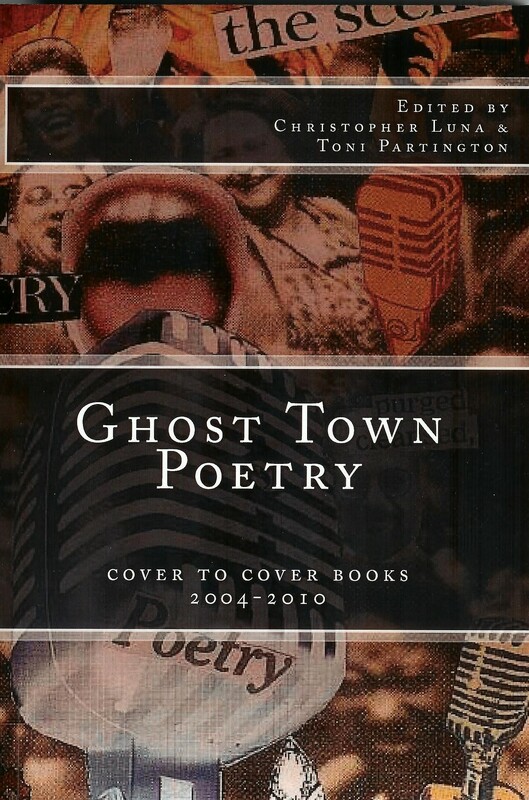 If you’d like a copy, you can buy one at Cover to Cover Books (http://covertocoverbooks.net), from the editors (printedmattervancouver@gmail.com), or through Amazon.com (http://www.amazon.com/Ghost-Town-Poetry-2004-2010-Anthology/dp/1461075114/ref=sr_1_1?s=books&ie=UTF8&qid=1312469042&sr=1-1). We will also be at the first annual Cover to Cover Books Author Faire on Saturday, December 10. We would like to thank all of the authors as well as those who have bought a copy of the book for making this publication a success. Please let your friends know about the book, and if you’re inspired by the book, write a review on Amazon. We also still have review copies available for those who would like to review the book for publication. 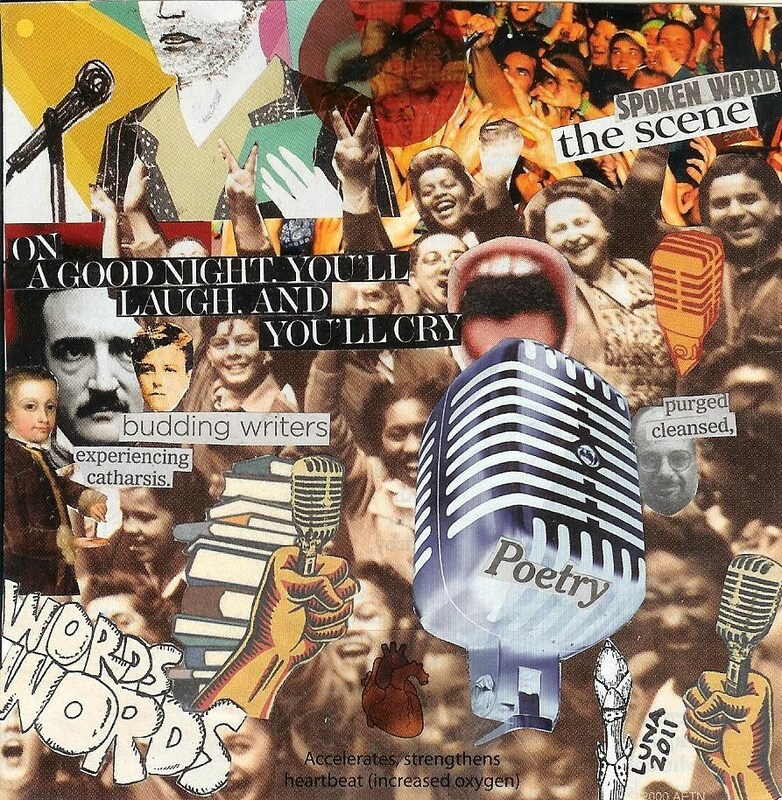 This anthology collects a mere sampling of the hundreds of unpublished and renowned poets who have read at the popular Vancouver, WA poetry series that spoken word legend Jack McCarthy proclaimed to be “the best open mike between Tacoma and Berkeley.” Founded by Christopher Luna at Ice Cream Renaissance in 2004, in 2007 Ghost Town Poetry relocated to Cover to Cover Books, where it became a crucial component of Vancouver’s growing literary community. Edited by Printed Matter Vancouver co-founders and current series co-hosts Christopher Luna and Toni Partington, the book contains poems that were read at the open mic as well as new work. It also features cover art and a history of the series by Christopher Luna and a chronology of the featured readers who have traveled from around the country and the Northwest to share their work. Ghost Town Poetry features poems by the following writers: Judith Arcana, Bernadette Barrio, Kristin Berger, Alex Birkett, Diane Cammer, Sheryl Clough, Sage Cohen, Kyle David Congdon, Carter Crockett, Eileen Davis Elliott, Naomi Fast, Olivia Gonzalez, Rob Gourley, Sam Green, Lorraine Healy, David Hill, Taylor Johnston, Maggie Kelly, Rainy Knight, Christi Krug, Barbara LaMorticella, Colleen Lindsay, Jake Loranger, Lori Loranger, Zoe Loranger, Jack Lorts, Angelo Luna, Christopher Luna, M, David Madgalene, Carolyn Martin, Jim Martin, David Meltzer, Norma Mizer, Mokii, Judith Montgomery, G.L. Morrison, Dan Nelson, Toni Partington, Jenney Pauer, Charles Potts, Michael Rothenberg, Kori Sayer-LeMieux, Herb Stokes, Margareta Waterman, Steve Williams, Laura Winter, and Sharon Wood Wortman. The editors of the book are available for interviews. Cover to Cover Books is located at 6300 NE St. James Road, Ste. 104-B in Vancouver. For more information, call 360-993-7777 or email mail@covertocoverbooks.net.